Elizabeth Towers was also known as Elizabeth Knight. She was born on 14 January 1827 in DeKalb County, Georgia.1 As of 18 December 1844,her married name was Bagwell. She married John Daniel Bagwell, son of Robert Johnson Bagwell and Sarah Chamblee, on 18 December 1844 at DeKalb County, Georgia. Elizabeth Towers died on 8 August 1913 in Texas at age 86. She was buried at Claude Cemetery, Claude, Armstrong County, Texas. [S3626] United States Federal Census, Washington, District of Columbia, Population Schedule: Browning District, DeKalb County, Georgia, Population Schedule: Browning, DeKalb, Georgia; Page: 147, Dwelling: 343, Family Number: 342, Date: August 16, 1870. Eliza Jane Bagwell was born on 6 October 1845 in Browning, DeKalb County, Georgia. She was the daughter of John Daniel Bagwell and Elizabeth Towers. As of before 1857,her married name was Haynes. Eliza Jane Bagwell married George Jackson Haynes before 1857. Eliza Jane Bagwell married Startling Harris before 1868. Eliza Jane Bagwell died on 18 August 1885 in Adams County, Colorado, at age 39. Startling Harris was born in 1842. He married Eliza Jane Bagwell, daughter of John Daniel Bagwell and Elizabeth Towers, before 1868. Startling Harris died in 1930. George Jackson Haynes was born in 1828. He married Eliza Jane Bagwell, daughter of John Daniel Bagwell and Elizabeth Towers, before 1857. George Jackson Haynes died in 1910. John Calhoun Bagwell was born on 12 April 1853 in Georgia.1,3 He was the son of John Daniel Bagwell and Elizabeth Towers.3 Ross Bagwell (John Calhoun Bagwell's 6 generation grandson) said that John Calhoun Bagwell was a young medic's helper during the Civil War. [S2321] Email from Ross Bagwell dated December 2012 to Hunter Wayne Bagwell - Subject Line: Descendents of Dr. John Calhoun Bagwell. 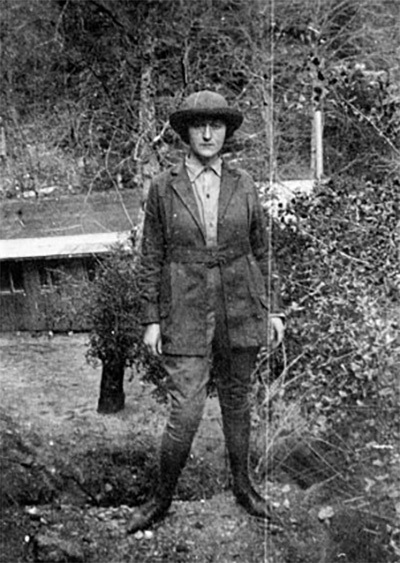 Minnie Marietta Bagwell was born on 14 July 1899 in Armstrong County, Texas.1 She was the daughter of Elmer Tyson Bagwell and Ida Victoria Hemphill. As of before 1920,her married name was Dye. Minnie Marietta Bagwell married Horace Beauford Dye before 1920. Minnie Marietta Bagwell died on 16 February 1969 in Amarillo, Potter County, Texas, at age 69 CLAUDE – Funeral services for Mrs. Minnie M. Dye, 69, of Claude, will be at 2 pm. Tuesday in the First Baptist Church. The Rev. Howard McClure, a Baptist Minister from San Diego, Calif. will officiate, assisted by the Rev. Charles Davenport, pastor. Burial will be in Claude Cemetery by Murphy Funeral Home of Clarendon. Mrs. Dye died Sunday morning in High Plains Baptist Hospital at Amarillo following a long illness. She was a native and lifelong resident of Claude and a member of the First Baptist Church. Survivors include her husband, a daughter, two sisters, three bothers, two granddaughters, and one great-granddaughter. [S1826] Minnie Marietta Bagwell Dye Grave Stone, Find a Grave, www.findagrave.com. [S1827] Horace Beauford Dye Grave Stone, Find a Grave, www.findagrave.com. Clara Bagwell was born on 14 February 1901 in Texas.1 She was the daughter of Elmer Tyson Bagwell and Ida Victoria Hemphill. As of before 1924,her married name was McClure. Clara Bagwell married John Weldon McClure before 1924. Clara Bagwell died on 7 December 1975 at age 74 Mrs. Clara V. McClure, 74, of Amarillo, died Sunday. The Funeral will be at 3 p.m. Wednesday in First Baptist Church with the Rev. Dr Winfred Moore, pastor, officiating. Burial will be at Llano Cemetery by N.S. Griggs & Sons Funeral Directors. Survivors include the widower, three sons, three brothers, one sister, nine grandchildren and three great-grandchildren. [S1828] Clara Bagwell McClure Grave Stone, Find a Grave, www.findagrave.com. Lawrence T. Bagwell also went by the name of Bud Bagwell. He was born on 7 March 1904 in Texas.1 He was the son of Elmer Tyson Bagwell and Ida Victoria Hemphill. Lawrence T. Bagwell married Martha Ragle before 1933.2 Lawrence T. Bagwell died on 12 September 1990 at age 86 CLAUDE - L. T. "Bud" Bagwell, 86, died Wednesday, Sept. 12, 1990. Services will be at 2 p.m. today in Claude Church of Christ, with Bob Setliff officiating. Burial will be in Claude Cemetery by Boxwell Brother Funeral Directors. Mr. Bagwell, born in Armstrong County, had been a life-long resident. In 1928, he won the 880 yard run at the Texas Intercollegiate Athletic Association Championships, where he earned an invitation to compete in the U.S. Olympic Trials. He was inducted into the Panhandle Sports Hall of Fame in 1989. He was a stock farmer. He was a member of Claude Church of Christ. He was preceded in death by his wife, Martha, in 1988. Survivors include a son, Rex L. Bagwell of Claude, a daughter-in-law, Mary Bagwell of Claude; two brothers, Ralph E. Bagwell and E.T. "Pat" Bagwell, both of Claude; a sister, Evelyn Blanton of Claude; five grandchildren and seven great-grandchildren. CLAUDE - Ralph Edmon Bagwell, 90, died Tuesday, Jan. 13, 1998. Services will be at 11 a.m. Friday in First Baptist Church with the Rev. Charles Davenport, pastor of First Baptist Church of Tulia, officiating. Burial will be in Claude Cemetery by Robertson Funeral Directors Inc.
Mr. Bagwell was born in Armstrong County and had lived in Armstrong County most of his life. He was a graduate of Claude High School, where he was a member of the track team. He attended Texas A&M University and was in the ROTC. He served four years in the National Guard. He was a retired farmer and rancher. Mr. Bagwell served on the Claude School Board and the Claude City Council. He served one term as mayor. He was a past president of the Armstrong County Farm Bureau and a member of the Southwestern Cattle Feeders Association. Mr. Bagwell was a member of First Baptist Church, where he was in the Men's Sunday School Class and had served on the Deacon Board. He married Lily Pafford in 1934 at Amarillo. Survivors include his wife; two daughters, Patsy Goin of Beaumont and Nancy Gillespie of Claude; a sister, Evelyn Blanton of Claude; five grandchildren; and 10 great-grandchildren. [S1838] Ralph Edmon Bagwell Grave Stone, Find a Grave, www.findagrave.com. [S1839] Lily B. Pafford Bagwell Grave Stone, Find a Grave, www.findagrave.com. [S1835] Julius Oscar Bagwell Grave Stone, Find a Grave, www.findagrave.com. [S1836] Lillie Elizabeth Cobb Bagwell Grave Stone, Find a Grave, www.findagrave.com. CLAUDE - Herbert Raymond "Ray" Bagwell, 82, died Sunday, Dec. 5, 1999. Graveside services will be at 2 p.m. Wednesday in Claude Cemetery with the Rev. Gene Weinette, pastor of the First United Methodist Church in Claude, officiating. Arrangements are by Rector Funeral Home, 2800 S. Osage St., in Amarillo. Mr. Bagwell was born in Armstrong County. During World War II, he served in the Army with the 24th Infantry Div. 21st Regiment, Company B. He was discharged as a staff sergeant. Mr. Bagwell farmed in Armstrong County until moving to Claude in 1976. After his retirement, he worked as a carpenter and furniture maker. He married Ardyth Wertenberger in 1947 at Plainview. Survivors include his wife; two daughters, a son, a sister, four grandchildren; and two great-grandsons. The family suggests memorials be to Crown of Texas Hospice or the Harrington Cancer Center. Amarillo Daily News, Dec. 7, 1999 accessed at http://files.usgwarchives.net/tx/potter/obit s/1999/07dec99.txt on 7 Oct 2011.1 He was buried at Claude Cemetery, Claude, Armstrong County, Texas. Ella Roberta Bagwell was born on 15 August 1911 in Texas. She was the daughter of Julius Oscar Bagwell and Lillian Elizabeth Cobb. Ella Roberta Bagwell died on 23 September 1994 in Potter County, Texas, at age 83. She was buried at Claude Cemetery, Claude, Potter County, Texas. Eugene Bagwell, 79, of Amarillo, died Saturday, July 17, 1999. Graveside services will be at 10 a.m. Tuesday in Claude Community Cemetery in Claude with the Rev. Raymond Bowlin of Bushland Baptist Church officiating. Arrangements are by Blackburn-Shaw Funeral Directors, 315 E. Fifth. He was born Nov. 17, 1919, in Armstrong County. He served with the U.S. Navy during World War II and worked as a mechanic. He married Jean Nell Best in 1940 in Clovis, N.M. She died in 1987. He married Ruby Spalding in 1990. Survivors include his wife; a daughter, Kathlyn Keeton of Midland; a son, Tony Bagwell of Austin; a daughter-in-law, Suanna Bagwell of Plainview; three stepdaughters, Sharla Golightly and Frankie Lockhart, both of Dallas, and Tracie Spalding of Amarillo; a stepson, Dexter Spalding of Amarillo; 15 grandchildren; and 11 great-grandchildren. A son, Stephen Bagwell is deceased. Emmagene Bagwell was born on 17 November 1919 in Claude, Armstrong County, Texas. She was the daughter of Julius Oscar Bagwell and Lillian Elizabeth Cobb. Emmagene Bagwell died on 22 June 1920 in Claude, Armstrong County, Texas. She was buried at Claude Cemetery, Claude, Armstrong County, Texas. Lena Bett Bagwell is the daughter of Julius Oscar Bagwell and Lillian Elizabeth Cobb. [S1837] Jimmie C. Bagwell Grave Stone, Find a Grave, www.findagrave.com. Emma Belinda Bagwell was born on 16 December 1887 in Texas. She was the daughter of John Calhoun Bagwell and Equilla Matthews. Emma Belinda Bagwell died on 22 May 1970 at age 82. She was buried at Claude Cemetery, Claude, Armstrong County, Texas. Charles Henry Bagwell was born on 29 September 1892 in Texas. He was the son of John Calhoun Bagwell and Equilla Matthews. Charles Henry Bagwell married Mary Elizabeth Cobb after 1910. Charles Henry Bagwell died on 9 September 1966 at age 73. He was buried at Claude Cemetery, Claude, Armstrong County, Texas. [S1834] Willie Mae Bagwell Rodgers Grave Stone, Find a Grave, www.findagrave.com. Nella Louise Myers married an unknown person before 1900. William King Bagwell was born on 30 June 1872 in Franklin County, Georgia. He was the son of John Madison Bagwell and Louise Eveline Burton. William King Bagwell married Allie Terrell before 1896. 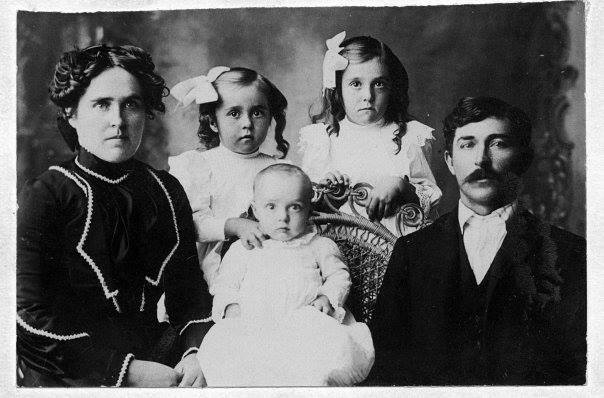 William King Bagwell married Myrtle Sue Farley on 6 February 1910 at Haskell County, Texas. William King Bagwell married Bessie Jane Farley after 1915. 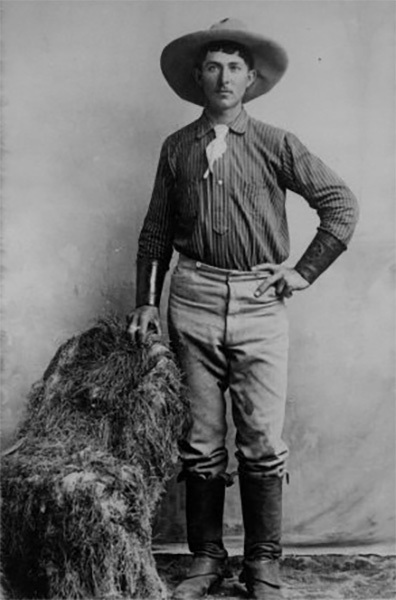 William King Bagwell died on 19 February 1946 in Littlefield, Lamb County, Texas, at age 73. He was buried at Littlefield Cemetery, Littlefield, Lamb County, Texas.